2009 21st Ave S, Birmingham, AL.| MLS# 839111 | Richard Jacks UABLIVING.com 205-910-2297 | Birmingham AL Real Estate | Contact us to request more information about our Homes for Sale in the Birmingham AL area. HOT LOCATION, FABULOUS UPDATED COTTAGE WITH LARGE FENCED YARD! Charming entrance with a brick paver drive way, ALL NEW EXTERIOR NO MAINTENANCE VINYL SIDING!! 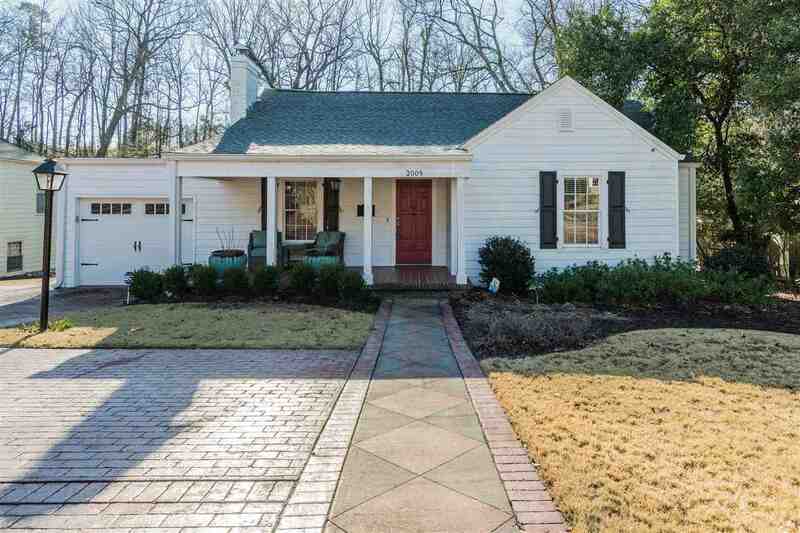 Stunning hardwoods throughout most of the home, 2 Dens, separate dining and eat in kitchen, 2 classic 1940&apos;s baths that are still in style today!! 2 Bedrooms PLUS a "pass through" bedroom that could also serve as an office, play room, yoga space...YOU DECIDE!!! Large rear deck for entertaining, large pantry opposite the laundry closet that both are convenient off the one car garage. The partial daylight basement has the HVAC & water heater and is super dry (hard to find on a home of this age)!! Driving Directions: 28th Street From Homewood. Turn Right Onto 21st Ave S. House Is On Right.